There's been PLENTY of talk about Pitt after the UCONN game and it seems like the nation is finally catching on to something we all know - Jamie Dixon is a pretty good coach and Pitt is a pretty good team. The articles have been out there all week and rather than recap them, I'm going to take a brief look at the Louisville game tomorrow. Certainly not a must-win for Pitt on the heels of three very good road wins. But Pitt has a real chance to carry momentum forward for another week. 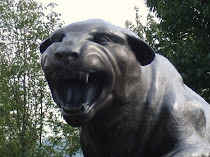 Win, and the Panthers should be knocking on the door of the top ten in the polls. 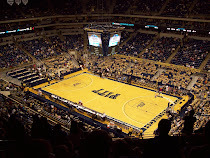 Another would win would allow Pitt to take another step towards becoming the best in the Big East. Louisville, to me, is a team similar to UCONN in the sense that in the times they've been challenged, they've fallen short. Louisville's played two ranked teams - Kentucky and Villanova, and have lost both. Their best win? Probably going on the road to defeat Providence. So they'll come in with something to prove. It's also early in the season, but like UCONN, a loss won't help their hopes of making the tournament. Their schedule only gets harder, having to play UCONN twice, Syracuse twice, West Virginia and Georgetown - half of those games are on the road. Losses to teams like UNLV, Charlotte, and Western Carolina (all decent, but not spectacular) will not help their chances, either. The key to the game could be Louisville's vaunted full-court press. I've not seen Louisville yet this year, but I expect the press to be in full force. Pitt's seen a little bit of the press this year, so hopefully they can be prepared for it. As the only team to win twice at the Petersen Events Center, Louisville isn't likely to come in overwhelmed by the Pete. I expect them to come in hungry to get a quality win for their tournament resume. Also, Rick Pitino and guard Peyton Siva discuss the matchup.